LUXURIOUS COMBED COTTON SOCKS - Keep your feet toasty warm during the labor and delivery experience. Our socks are incredibly comfy! GIFT IDEA - These socks make a perfect baby shower or gender reveal party gift or push present for the pregnant mom to be. 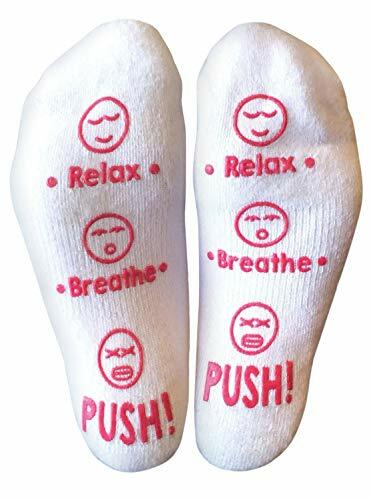 Adorable non-slip design: Relax, Breathe, PUSH! For baby girls and boys, or a surprise!